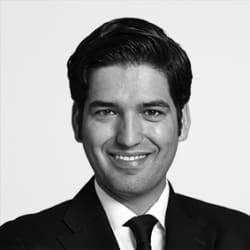 Nima is a senior associate in the antitrust, competition and trade practice group in our Freshfields’ Amsterdam office. He focuses on competition law and merger control proceedings, European law, follow-on damages litigation and regulated markets and advises clients across a range of sectors. He has extensive experience in antitrust follow-on damages proceedings before the civil courts and has specific experience in dealing with regulated markets, in particular the telecommunication markets and economic evidence. Nima has represented clients before the Dutch and European courts and advised on proceedings before several competition authorities. Nima has been seconded to the Freshfields Brussels office in the course of his career at the firm. Furthermore, he is recognised as a leading expert in Who’s Who Legal – Competition Future Leaders (2017 and 2018).